Learn about our carpet cleaning service in Mar Vista, CA. Let’s talk about why Delta Chem-Dry’s unique approach to carpet cleaning provides a better experience. We don’t want to take up any more of your busy schedule than necessary, so we chose to always use a carpet cleaning process that really works, and in less required time. 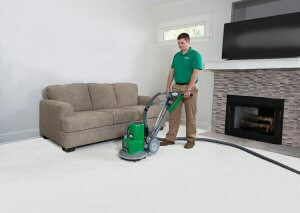 Take carpet cleaning off of your to-do list and let the Delta Chem-Dry do the heavy lifting! Our signature cleaning solution, The Natural®, is a cleaning mixture that, through the power of carbonation, lifts dirt to the surface where it is whisked away. This solution not only cleans better but is eco-friendly. It is non-toxic and ideal for homes with kids and pets and recently received the Green Certification. After all, we reside in Mar Vista as well, and we want the air and environment to remain as green as possible! We are confident that our services will exceed your expectations. Chem-Dry is the preferred carpet cleaning service in Mar Vista for a reason – see what people are saying!